In the comics, Captain Marvel is a powerful activist for the feminist movement. Brie Larson — the actress who will be playing Carol Danvers/Captain Marvel in the Marvel Cinematic Universe — has recently shown that, like her character, she’s very willing and open to learn about feminism, specifically intersectional feminism. 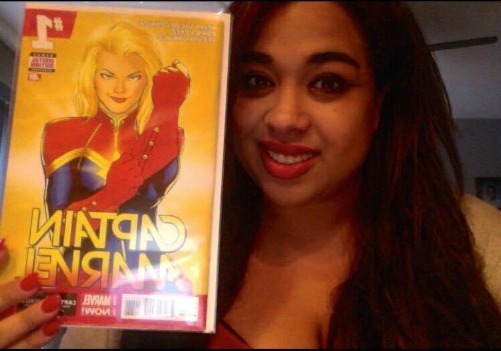 In light of her recent social activism on social media, I wanted to share why this is important to me as both a fan of Captain Marvel and a Woman of Color. In the comics, starting with Kelly Sue Deconnick’s run of Captain Marvel (2012 – 2015,) Carol stands up for what is right; she represents female empowerment. She inspires females of all ages, races, sexual orientations, etc. In today’s world, a superhero having all these qualities is much needed, and the Captain Marvel solo film couldn’t get here fast enough! The term “intersectional feminism” was coined by Kimberle Crenshaw in 1989. Intersectional feminism essentially recognizes that not every woman will be afforded the same rights or opportunities because of either race, sexuality, body size, and mental or physical disabilities. Yes, all women deal with sexism in some shape or form, but we must acknowledge that feminism is not a one-size-fits-all term. That means that, what may work for and help white women when it comes to feminism, doesn’t mean that will also work the exact same way for Women of Color. This would apply to what may work for straight women, may not work the same for women who are apart of the LGBTQ community, etc. As more and more women openly admit to being feminists, it’s important to address this divide in feminism — something that Brie is openly doing. I luckily had the chance to chat with Valerie about Brie willing to learn, listen, and speak out about intersectional feminism. Here’s what she had to say! Valerie: Brie Larson gets it. She’s been working to elevate the voices of the marginalized—you know, people who understand the importance of intersectionality in the feminist movement. It’s a different approach because what better way to learn about intersectionalism than listening to those who are vocal about it. Larson is all about unity, and understands that in order for all women to achieve solidarity, minds and ears have to be open to listening to what Women of Color have to say. Intersectional feminism is extremely important especially regarding the portrayal of female superheroes. There needs to be female superheroes who do understand that to represent all women, one must be willing to learn and listen to women who are different than her — whether it’s racial difference, sexual orientation, body size, etc. I think it’s also important that actresses playing the superheroes reflect these beliefs in real life. Of course, we must also allow room for error, cause not all of us came out of the womb a feminist and well versed in social matters. To me, Brie Larson is very much Captain Marvel/Carol Danvers in the same vein that Chris Evans is very much like Captain America/Steve Rogers. They may not be perfect, but they truly are here to stand up for what is right, love, and hope, and most of all Brie is here to stand up for all women. I’ve been a fan of Brie since I saw some of her music videos that used to play on the Disney Channel, when I was a young teen. And Captain Marvel/Carol Danvers has been a character I’ve followed since Kelly Sue Deconnick had started writing the character. Carol has easily become one of my favorite female comic book characters and inspired me to try my best to be a better person. This is important because, in the comics, Kamala Khan, a Muslim Woman of Color, picks up the mantle of Ms. Marvel to pay homage to Carol Danvers. With Brie openly being a feminist and supporting the intersectional feminist movement, she is demonstrating that she is here for all women. As women will be looking up Brie as an inspiration and a symbol of female empowerment both on and off screen, it’s great to see her representing intersectionality like Carol. Brie truly is embracing her responsibility as Captain Marvel just as much as Chris Evans has truly embraced his legacy and influence as Steve Rogers/Captain America. Like Chris Evans, who recently took on a bully on social media, Brie also hasn’t been afraid at all to speak her mind lately in this politically charged climate. Brie attended the record-breaking Women’s March in January, she regularly uses social media to uplift other women’s voices, and she speaks up for victims of sexual assault. To me, Brie is everything that Captain Marvel should be; she makes me even more proud to be a Captain Marvel fan and a feminist. 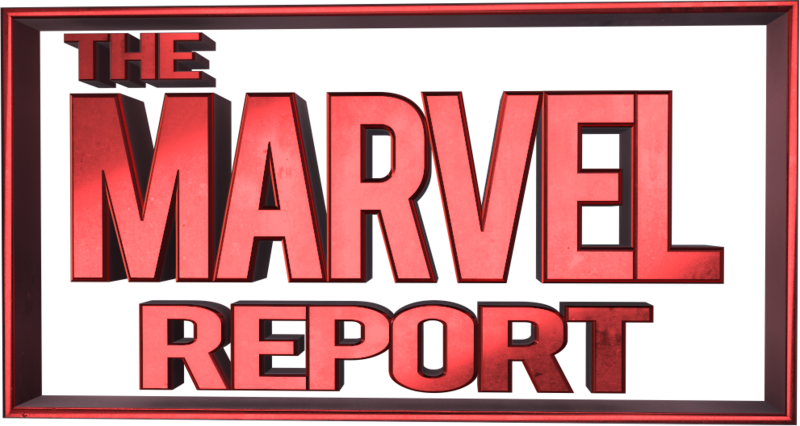 I hope that the screen writers will capture the feeling I had when reading Kelly Sue’s run of Captain Marvel. Carol is such an inspiration, hero, and a feminist symbol that she inspires Kamala Khan to follow in her foot steps. And so far, Brie seems to be moving down a similar path to inspire and empower all women from all walks of life. I asked Captain Marvel News what does Brie being Captain Marvel mean to them. Captain Marvel News: Couldn’t be happier. She embodies the concept of Carol in all her glory. I couldn’t agree more with that. Brie Larson is my Captain Marvel, and I couldn’t be anymore proud of her. I’m looking forward to see how Captain Marvel/Carol Danvers in the Marvel Cinematic Universe will be a symbol of feminism and female empowerment for all women, so that we can also have Kamala Khan in the MCU one day. Captain Marvel flies into theaters March 2019.